National University coach Patrick Aquino is tasked to call the shots for the PH women's team in the coming Southeast Asian Games in Singapore. THE Philippine women’s basketball team will have a new head coach when it bids for the elusive gold medal in the Southeast Asian Games in the middle of the year. 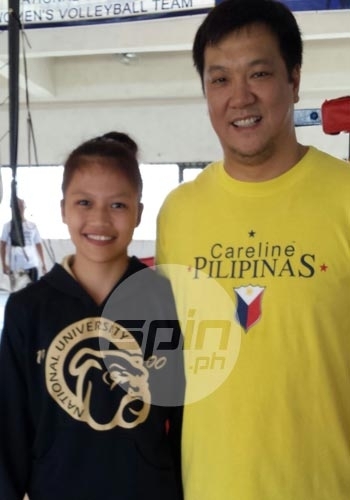 Patrick Aquino is set to be named coach of the women’s cage squad to the biennial meet in Singapore, sources told Spin.ph, replacing longtime mentor Haydee Ong. A former women’s national youth coach, Aquino steered the National University Lady Bulldogs to the UAAP championship in Season 77. His appointment likewise signals the entry of Ever Bilena as the new backer of the women’s national cage program. Owned by PBA team owner Dioceldo Sy, Ever Bilena is currently bankrolling the Lady Bulldogs’ campaign in the UAAP. During Ong’s tenure as mentor of the so-called ‘Perlas Pilipinas’ team, the squad was backed by Discovery Suites. Aquino, a University of the Philippines alumnus, played for the Sy-owned franchise Blu Detergent in the defunct Philippine Basketball League.(PBL). He is currently a part of the Blackwater coaching staff under Leo Isaac. While the Philippines has dominated basketball in the Southeast Asian region, the women’s team has not enjoyed the same success as its men’s counterpart. The PH women’s team finished runner-up in the last two editions of the SEA Games in Indonesia and Myanmar, respectively. The closest it came to winning a gold came in 2011 (Indonesia) when Thailand hit a buzzer-beating, game-tying three-pointer in regulation before winning the gold-medal match in the extra period.